This simple dish can be made ahead of time and grilled quickly when you're ready to eat. It also makes a great appetizer. The recipe makes 6 kababs. Mix the yogurt with the coriander, cumin, chili and turmeric powders and garlic paste. Add salt to taste. Whisk to get a smooth paste. Add the cubes of paneer to this paste and coat well. Allow to marinate for several hours. 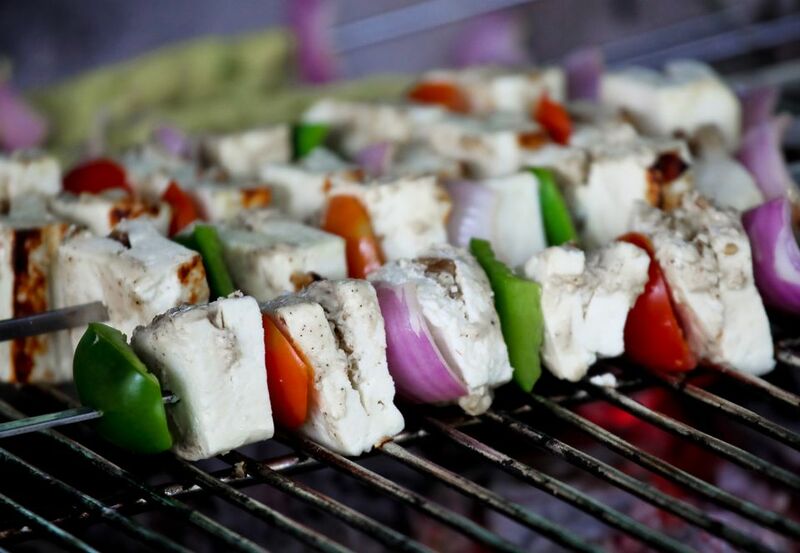 On wooden barbecue skewers, alternate cubes of paneer with the cherry tomatoes and green bell peppers squares. Grill on a barbecue or in the oven until the vegetables are soft as per your liking. Garnish with a squeeze of lemon and serve.